After a very successful debut in October last year, the Japanese-Korean female idol group are ready for their first comeback! The 12-member group is made up of diverse backgrounds such as Korean and Japanese, and are very talented dancers and singers! IZ*ONE’s released their first EP ‘Color*Iz’ with title track ‘La Vie En Rose’ at the end of last year, which you can watch here! It was very successful and stole hearts around the world when they debuted. They have been busy with guest appearances on TV shows, performances and are now prepping for their next comeback on April 1st! 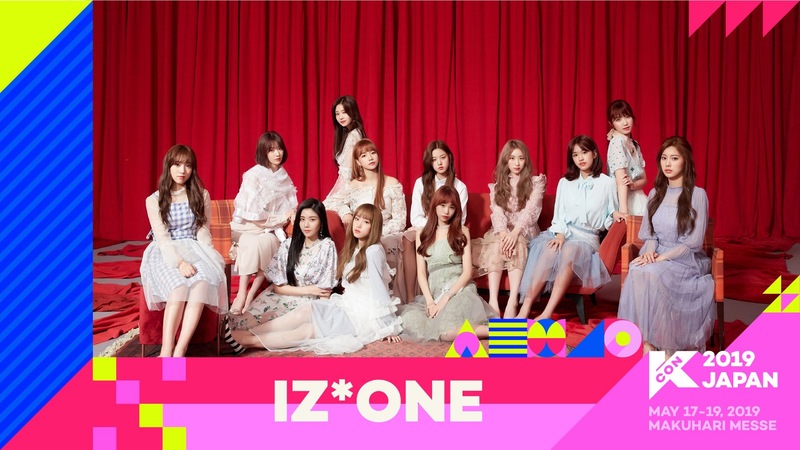 They are also set to make an appearance at Kcon Japan this year in May alongside Twice, The Boyz, Pentagon and many more! It also includes a meet and greet! They have just dropped their next comeback’s concept trailer on their social media platforms and we are anticipating what’s next to come! Watch the concept trailer below! On their official Twitter they have also dropped a link to a basketball-themed game app! Check it out below! Are you excited for IZ*ONE’s next comeback? What do you think of them? What do you think of their concept trailer? Have you played their new game? Will you attend Kcon this year? Let us know in the comments below! Keep following Officially Kmusic for future updates!